Have you heard that your friends are using cupcake frosting in their makeup? What? Everyone’s doing it now! So, what are you waiting for, go get your favorite flavor and try it on. ‚Äö√Ñ√∂‚àö√ë¬¨‚àÇ And you believed it? Don’t worry, no one is doing “frost-up’ just yet, so you’re still cool, although it can still become the next big thing in Internet. I don’t know if you’ve been keeping a disturbed watch over the latest beauty trends that have not only surfaced in the most popular searches and newsfeeds, but have also triggered viral currents by engulfing dozens of girls taking selfies of alien makeup and trolling the rest of us with them, but consider this. 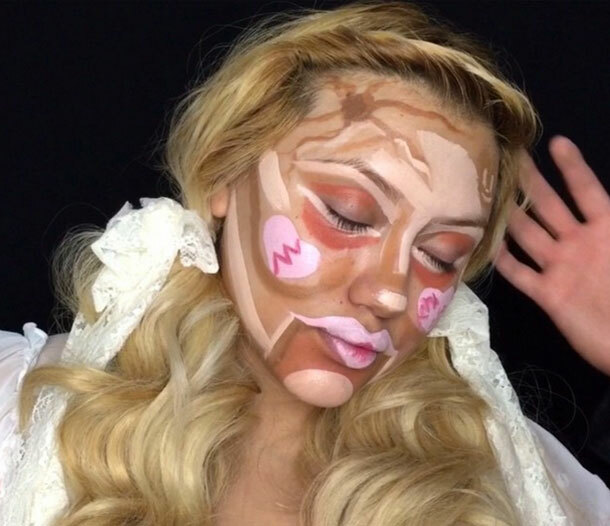 Take 5 minutes off your busy schedule to learn about the top 3 new and weird beauty trends in Internet right now from multi-masking and clown contouring to makeup baking. I believe some of you might even have tried a couple, but don’t feel bad; we know trends are hard to resist (you learn the logic when you start creating them yourself). 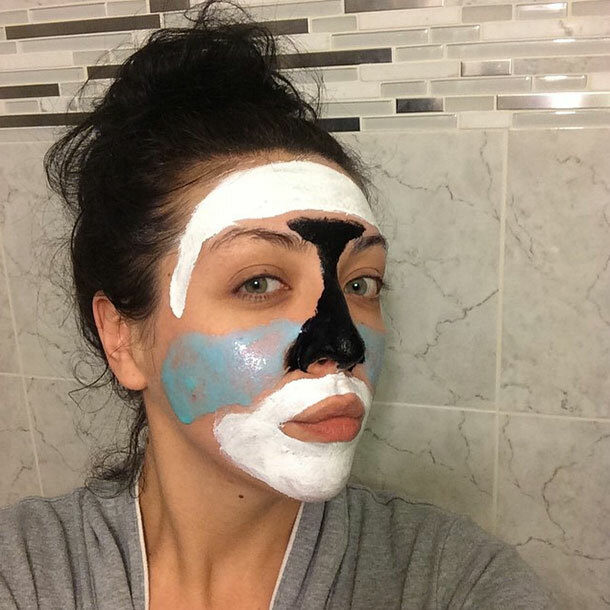 Considering you might be completely new to these beauty trends, we want to spare you from the upcoming surprise by starting with the most harmless trend called multi-masking. Or should I say #MultiMasking to be in trend? Jokes aside, despite the name, this is a trend I’d try and might even like. It suggests applying different types of face masks on different face parts, all at once. For example, if you want your cheeks softer, your nose drier, your lips more vibrant, and you only have 10 minutes for it, you should go for multi-masking. I’m sure some of you have been doing this as a way to cheat your weekly beauty routine, but the Korean beauty industry spent more energy on making it a worldwide online trend. One of the role models of the trend is “Teen Mom” Farrah Abraham, who tweeted a video where she rocks a few different masks all at once. Interestingly though, this trend seems to be more popular on Instagram, so if you’re looking for some tips and a starter’s guide, do some hashtag research ” #MultiMasking. Interestingly, that’s a trend that sparks one more thing besides the engagement rate: the number of face mask sales. Some of the Japanese brands like Boscia have released multi-masking kits, containing different types of masks, so you don’t have to mix and match in store. Go ahead and have a fun MASKuerade with that! 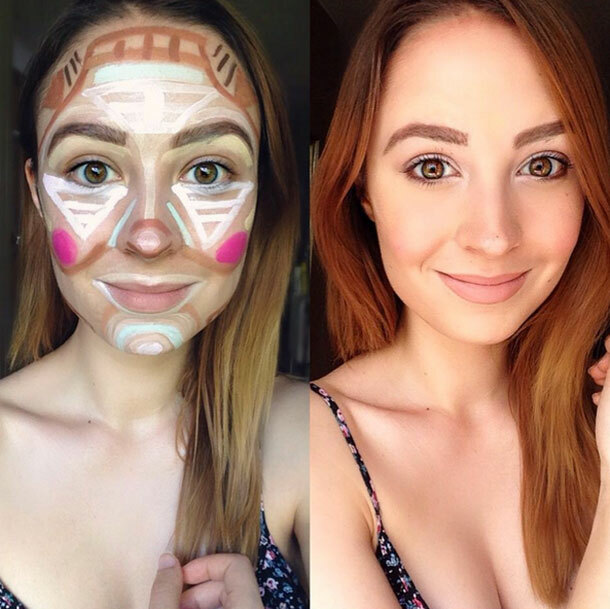 Another trend, called Clown Contouring, might as well do one positive favor to the online users. If it can help some people get over their childhood phobia of clowns, sure, let’s all have a clowns’ night out event. I’ll be there with my chalky white cheeks and waxy violet eyeshadow. A lot of people from the online community think it started as a joke. In fact, you can’t really tell if it was a self-prank or a serious innovation, but makeup artist Esther Isabel Amado Romo broke the Internet by publishing a beauty tutorial that featured the Clown Contouring technique for the first time ever. The trend suggests starting off your makeup by drawing a clown and an emoji on your face. Then, start blending intensively. The final look is expected to be very natural and pretty. 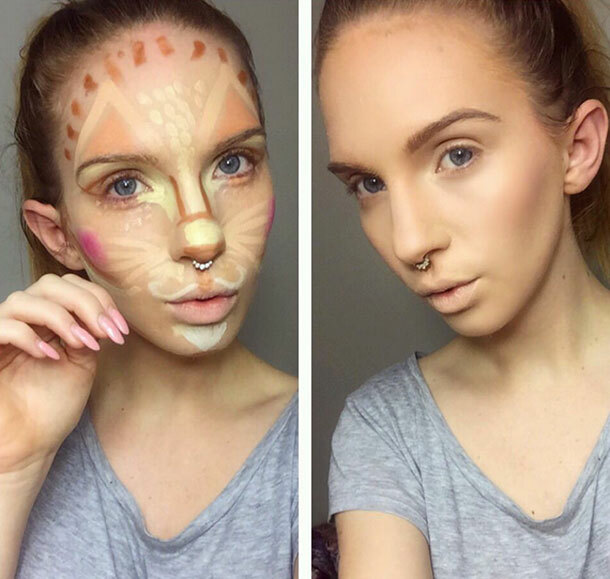 Her tutorial is light and fun, not like the dead serious instructions vloggers give in standard contouring videos. She even inspired a few to ditch the heavy burden of always being perfect and just have fun with makeup. Has anyone ever told you they hate when women wear makeup and that you don’t need it? Here’s what we suggest; start drawing a friendly-looking clown on your face. Use the foundation, the blush, eyeshadow, concealer, anything you have in your treasury. Once the person is shocked by the look of makeup on your face, start the blending process. After blending, your face looks correctly contoured and the clown mask is gone. But the person has stayed so this is the chance to use that power pose you’ve been practicing and declare: “Makeup does magic.’ Do let us know how it went! Are you sure this is a beauty trend and not some kind of a new homemade pie recipe you find on food blogs? Yeap, we’re sure, we’ve double- and triple-checked. It’s an actual thing and it can be your chocolate chip face, if you’re in trend. “Baking’ and “cooking’ makeup means applying layers of concealer or foundation in your under-eye area, then locking all those layers in by applying translucent powder. You wait for 5-10 minutes and simply brush off the powder. This technique reportedly makes the concealer layers smoother and matte textured. This makeup technique has been hiding in the dark for a while, being used in the beauty industry but not getting enough exposure to get us interested. It was heavily used by the drag queen community. Everything changed with one click by Kim Kardashian and her makeup artist Mario Dedivanovic, after which a technique became a trend. 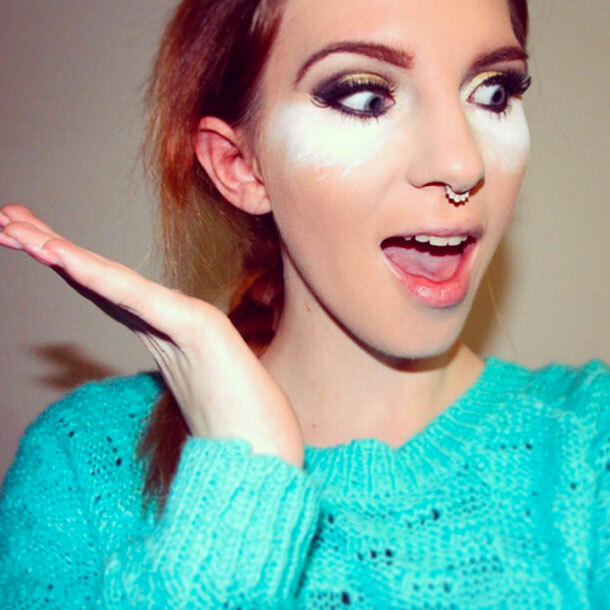 Most makeup artists on YouTube claim baking looks flawless in photos. But what does the powder really do to your face? It’s not some magic powder borrowed from a makeup wizard. What it does is cover your skin with an external shell that helps your skin’s heat set the concealer layers and have a final creaseless look. Sounds like a ritual to me! If you want to try this trend out, make sure you have at least an hour for your overall makeup. And once you’re done, don’t forget to post your photo on Instagram and let the world see your baking skills. The most reassuring part is that these trends are ways to have fun with makeup and take it easy. You’re still expected to look human-like at the end. It’s not the goal, it’s the process that these trends have enriched. However, this chain makes me think if people will start sticking wallpaper on their faces, if I ever got an article or even better, a full-length tutorial about it on one of the top fashion sites, would you try it too?